Recently added under the Chennai Corporation limits, Madipakkam is the aceof the emerging residential area in Chennai. Owing to closer proximity to the IT hubs and major industries, the capital appreciation of the properties has been outstanding in the recent years. Especially, the demand is high for buying individual houses and residential apartments in Madipakkam. Another major reason for the residential growth is the connectivity that it offers to the occupants in the locality. The area offers good road transportation facility and railway connectivity through Mass Rapid Transit System located in the nearby areas. Further, the locality is surrounded with all the essential needs like hospitals, famous educational institutions, parks and place of worship. These advantageous factors have raised the demand of the independent houses and residential apartments for sale in Madipakkam. 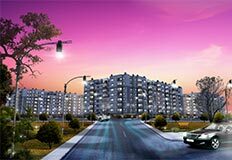 The home seekers constantly inquire about individual houses and flats for sale in Madipakkam, as there is a huge development of IT hubs in the surroundings. The IT professionals working in the IT companies search for the homes and hence the residential demand have increased to a large extend. Apart from it, the area has the best attractions for the property investors like convenient location, easy accessibility to necessary needs and newly constructed lifestyle apartments with amenities. Another reason that grabs the attention of the home seekers is the serene environment of the locality, whereas the tranquil atmosphere is hard to be found in the primary fields of the Chennai City. In the late years, the rental value and capital appreciation of the residential properties have increased at a galloping pace. With dozens of proposed commercial and infrastructure development in the locality, the demand of residential houses or flats in Madipakkam will even increase further in the successive ages. As a result, the real estate builders have constructed many residential apartments in Madipakkam that comprises of 1bhk, 2bhk and 3bhk flats.Right from Individual Villas to community apartments, the property investors can find their desired homes. This also helps the property investors to have multiple options while buying the individual houses or flats in Madiapakkam and also to find their dwelling according to their budget. Affordability is as well one of the major reasons that magnetize the attention of the home seekers to buy flats or apartments in Madipakkam. When comparing to the price of the residential properties located in the prime locations of the city, Madipakkam is considered to be the choice for buying property at a reasonable rate. 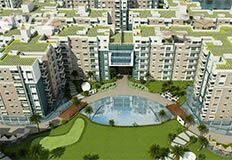 One of the most trending areas for buying residential apartment in Madipakkam is Ram Nagar, which holds many large residential projects for the home seekers to choose from. Be it an independent houses or residential flats, the property investors can find any type of homes in Ram Nagar, Madipakkam. Especially, Ram Nagar South is one of the most preferred locations by the real estate builders to construct their residential projects. Further, the area has got positive reviews from the residents in terms of its best infrastructure developments. Located strategically, the area offers good transport facility through both road and railroad transit.The area offers frequent buses for the commuters to travel all the major places of Chennai. Further, to travel within the area there is facilities available for the residents through the modes of auto rickshaws, share auto and mini buses. Even though there is not any allotted railway station for this area, it has close proximity to the neighborhood railway stations which is barely 3 kms from the locality. Further, the Chennai International Airport is just 6 kms away from the Madipakkam area. All these connectivity advantages are the prime reasons for the rise in the demand of residential flats in Madipakkam. Through purchasing a property in this region, the property investors can get the best capital appreciation in the time to come. With lots of proposed commercial projects and IT development in the vicinity, the prices of the independent houses and apartments in Madipakkam will even increase further. Apart from it, the properties can get more profit through their properties, as the rental demand is also high in the locality. If you are planning for the property investment in Chennai, the ideal choice would be to look for individual houses or residential flats for sale in Madipakkam. Are you planning for residential property investment in Madipakkam? 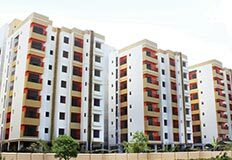 At www.chennaiapartments.co.in, you can find the complete details of individual houses and apartments / flats.